I'm so excited to tell you about a little gem I found a few years ago. Social media has introduced me to so many things and Sticky9 is one of my favorites. Sticky9 offers magnets in Medium, Large, Retro (which look like little polaroid photos) and Jigsaw, Square Photo Prints, Posters, iPad Covers, Greeting Cards and so more. The quality of their products are incredible and so is their customer service. 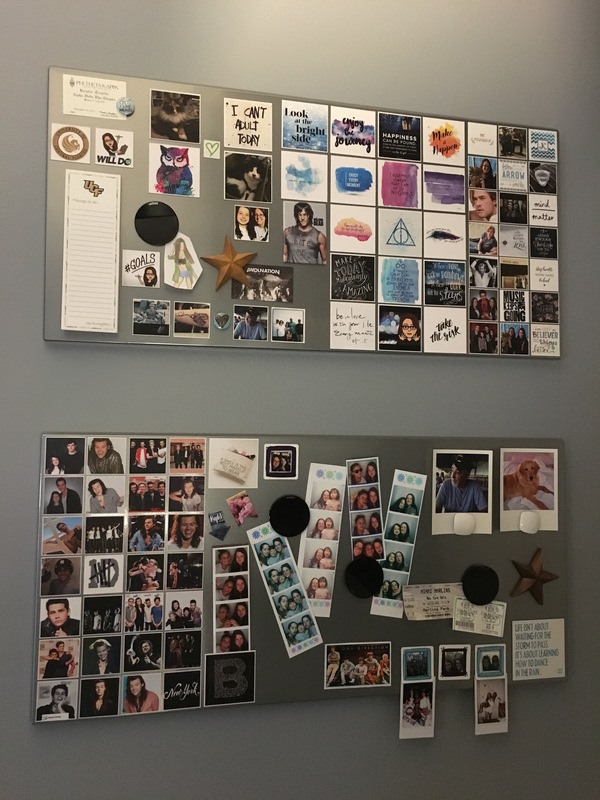 My niece and I bought two large magnet boards from IKEA that are completely filled with Sticky9 magnets (see photo below - you can probably guess which one is mine and which one belongs to a 12-year-old lol). You can make magnets with your favorite photos from Instagram, or your favorite quotes and saved photos. They also have an app that you can download to your phone that allows you to upload photos directly from your camera roll. WHAT IS YOUR FAVORITE HOLIDAY TRADITION, AND WHY? Send your ANSWER(S), FIRST & LAST NAME to accordingtokristin@gmail.com. Winner will be selected on Dec. 10 to give enough time to order before the holiday. You can check the website for shipping and delivery dates. This promotion will end December 10th at 10:00 AM (eastern time). Only one entry per person. No purchase necessary. Winner will be contacted via email with a promotional code to use on Sticky9. AccordingtoKristin.com and other promotional partners are not responsible for lost, stolen, or misdirected mail. You can also check out the site and order your very own magnets, photo prints, etc. with my code FRIENDANX5, which will deduct 15% from your purchase. These products are great gifts and stocking stuffers! As an idea, last Christmas I had The 1975's logo printed on a set of Jigsaw magnets. I separated each magnet and placed each one in an envelope with a clue leading my niece to a huge box with The 1975 concert tickets inside. She loved the little scavenger hunt, trying to figure out where each magnet went and now she has a cool looking jigsaw puzzle.